On this, the 100th post on the Advanced Biotechnology for Biofuels blog, I thought I would take this opportunity to write on a more personal note. When I started this blog in January 2010, I was pretty much an outsider to the biofuels industry – I was a veteran of several different sectors of biotechnology, with skills and prior experience that I felt were applicable to companies using advanced biotechnology for the production of fuels and chemicals. So I created the blog as an outlet to discuss things I had been learning about the industry, and to elaborate on topics where I felt I had knowledge and expertise to offer, in areas like biotechnology regulations. Now, biofuels and industrial biotechnology have been my sole or main professional focus for over three years, having worked in-house or consulted for several leading companies with exciting new technologies, participated in numerous conferences, trade association activities and other industry events, and developed a broad network of contacts within the field. So I hope I’ve earned the right to make some observations about the field and where it’s heading. One thing that hasn’t changed is my passion for the field and my belief that developing a global bio-based economy is essential. If anything, the importance of what we’re doing is even more clear to me than before, as evidence for the severity of human-induced global climate change becomes more convincing (yet the vehemence of the “deniers” just grows and grows), and the need to move away from a fossil-based economy throughout the world becomes more evident. It will likely be a long transition, maybe requiring decades, but I’m convinced that biological methods will eventually command a significant portion of the strategies the world uses to manufacture fuels, chemicals and other products that today are petrochemically-based, and that this will be a key weapon in the ongoing struggle against climate change. However, having seen the industry up close for these past several years, I now have a clearer understanding of just how challenging these goals will be to attain. I must admit to coming into the field with a certain amount of “biologist’s bias” – in thinking that designing and creating the production organisms was the most important part of the process. Although even then I knew that there was more to successful commercialization than just splicing a few genes and throwing the resulting bug into a fermentation vessel, working closely with several companies and their staffs have shown me just how many challenges, at so many levels, must be overcome to achieve large-scale commercial success of a novel microbially-based process. To mention but a few: production organisms, growth media and fermentation conditions must be tweaked and optimized for improved performance; engineering challenges of many kinds must be overcome to move from the lab to each successive stage of commercial proof of concept and demonstration; processes must be fine-tuned to be economically feasible and to present the most favorable carbon footprints; and large amounts of capital must be raised through financial markets or from strategic partners to build even modest-scale demonstration plants or commercial facilities. And that’s not to mention the marketplace barriers which serve to protect entrenched competing interests, issues of consumer acceptance, and those instances where innovative products or processes are singled out for excessive oversight or regulation. It’s an uphill battle, and I have the utmost respect for those companies that have successfully fought through these issues and that have gotten bio-based fuels or chemicals on the market. At the same time, it’s clear that bio-based industries need favorable policy environments to succeed in major market countries. I won’t comment in detail here about specific policy initiatives important for the industry’s success, which I’ve done recently in a series of posts on my Biofuel Policy Watch blog, except to say that government policies (such as the U.S. Renewable Fuel Standard and the EU Renewable Energy Directive) continue to be critical to the successful growth of fledgling industries like ours, and even where favorable treatment (e.g., subsidies, tax credits) is not politically possible, the least we can ask is for a level playing field with regard to competing technologies and entrenched industries. And, as I’ve often said, even as political stalemate and climate change denial increasingly stymie chances for meaningful policy reform in the U.S., I am heartened by the reality that other regions of the world (where politicians still believe in science!) can lead the way in developing policies to encourage the growth of the industry. And I appreciate that I’ve had the opportunity to work with several excellent companies from around the world who are bringing innovative solutions to address international markets. What I find to be a continuing frustration is the recurring criticism of certain biofuel strategies from groups with whom the industry shares common goals. By this I mean those NGOs or other environmental activist groups, who by all accounts are equally passionate in their desire to phase out use of fossil fuels, but who continually snipe at products like corn-based ethanol as not meeting their lofty standards. Now, virtually no one in the biofuels industry seriously believes that corn ethanol or other food-derived fuels are the best and ultimate answer to all our problems, and I believe most observers consider products like these to be transitional towards advanced generation fuels (more on that in a moment). And I acknowledge that some of the traditional methods of producing ethanol from corn, or biodiesel from palm oil, or other food-based fuels, may not have particularly favorable carbon footprints. But come on, how could a responsible environmentalist possibly think that producing fuels from renewable biological sources is worse for the environment than extracting messy mixes of chemicals from oil or other fossil sources and unleashing into the atmosphere carbon that has remained underground for eons? This criticism of the industry, and of scientists and companies that are working diligently and in good faith for society’s benefit, creates confusion and ill-will in the public’s perception of the biofuel and bio-based industries, causing significant and completely unnecessary blowback to the industry’s progress, which frankly is really a disservice to the global efforts to combat climate change. It’s clear that some of these concerns from the environmental community and others have been triggered, or at least exacerbated, by the delays in development of those second or third generation biofuels for which food-based fuels were supposed to pave the way. In particular, progress on cellulosic ethanol has been frustrating, since so many companies have been at work on these technologies for so long. In retrospect, the challenges that were encountered on the road to commercialization should not have been surprising. In addition to all the generic challenges facing biofuel production that I mentioned above (particularly the enormous amounts of capital and long time frames needed to design and build commercial-scale plants), most observers underestimated the technological challenges. After all, woody plants evolved the ability to synthesize and use cellulose over millions of years precisely to provide physical and chemical stability and resistance to degradation, so it should not have been surprising that it would be so hard to devise quick, economical and energy-efficient ways to break down cellulosic materials into fermentable sugars. But that being said, it does appear that 2014 will finally be the year that sees a significant number of cellulosic ethanol plants coming on line, and significant volumes of cellulosic fuels produced, with a healthy pipeline of many other commercial projects expected to follow in the very near future. It is gratifying to see success with advanced biofuels like cellulosics coming at last. To me, the next frontier, and the one having the most long-term promise of microbiological methods to reduce carbon emissions, will be the development of photosynthetic processes where microorganisms such as algae or cyanobacteria can be used to synthesize fuels or chemicals directly from sunlight and carbon dioxide. This too has been an endeavor which has long been talked about, particularly for algae, and where numerous technological and economic challenges have been, and continue to be, faced. Having some familiarity with this sector of the industry (see my disclaimer below), I can see the magnitude of the biological and engineering challenges standing in the way of economical, large-scale use of such technologies. But again, I see an imperative here in the climate change battles – just as the world needs to increasingly turn to solar and wind power to create electricity or heating energy, the transport sector too must find ways to make use of the most abundant renewable resource available to mankind – solar energy – to manufacture the fuels needed for the world’s growing population. Furthermore, photosynthetic fuels offer the added promise of being able to utilize industrial carbon dioxide wastestreams that would otherwise be released into the atmosphere, potentially adding an additional weapon to the arsenal against climate change. I don’t pretend that development of photosynthetic fuels and chemicals will be quick, but I feel it is imperative and inevitable. I’m also pleased to see the increased willingness of companies and academic researchers all around the world to explore or develop the use of genetically modified microorganisms and plants for fuel or chemical production. There has certainly been reluctance to use GMOs commercially in most industry sectors other than pharmaceuticals, because of the perception that excessive government regulation and intense public opposition would make such uses impossible or extremely difficult. Although this remains true in some regions of the world, it is far from universally true. Having cut my teeth in the world of agricultural biotechnology at the time the public debates about environmental impacts of GMOs were most intense, and having successfully obtained early government approvals for GMO field tests at the time they were most difficult and controversial, it’s been one of my missions to convince people that, where industrial uses of a modified microorganism or plant are justified for business reasons, regulatory approvals are achievable with proper planning and management. At this time, I think it’s fair to say that most industrial biotech companies have accepted or even embraced the possibility of using genetically engineered microorganisms in manufacturing, and that few are consciously avoiding GMOs. There’s also been increasing (albeit cautious) interest in GMOs within the algae community, where the prevalence of open-pond reactors creates a more challenging path to regulatory approval that has discouraged research using modified strains (although I’ve argued in a recent post that the regulatory system can accommodate stepwise reviews and approvals of outdoor uses of GMOs moving from small to larger scale outdoor uses). I can’t take any credit for changes in the prevailing attitude (in spite of my self-appointed position as “missionary”), but it is true that many companies are using, or planning to use, modified microorganisms and that regulatory approvals for these uses are possible and in some cases fairly easy, at least in most industrialized countries. I do need to point out a disturbing trend on the regulatory front, and that is the elevation of “synthetic biology”, especially as it being applied in industrial biotechnology, to be the new bogeyman of some environmental groups or academic scientists. In particular, many groups or individuals are alleging that regulatory systems in the U.S. and elsewhere in the world are somehow inadequate to provide proper oversight over commercial uses of synthetic biology. And in doing so, I hear the same tired arguments about potential adverse environmental impacts and the supposed gaps in the regulatory system being recycled from the 1980s. I’ve always said that legitimate questions must be addressed in risk assessments of industrial uses of modified organisms. And, I would agree that, carried to extremes, i.e. the theoretical ability to completely remake a microorganism’s phenotype or biological characteristics, synthetic biology is a potentially powerful tool. But in the eyes of government laws or regulations, there’s no difference between an organism carrying a small number of heterologous or modified genes and an organism containing dozens of foreign or synthetic coding sequences – the same laws can apply, and the same principles of risk assessment would be used in the latter case as has been done for decades for the former. This focus on synthetic biology is troubling because of the “slippery slope” – if new regulations are indeed adopted, how many genes must be manipulated before you call it “synthetic biology” and subject a project to such greater regulatory scrutiny? But this also ignores real world considerations. I would argue that there little commercial need today to go to significant lengths to make wholesale synthetic changes to a microorganism to accomplish a desired industrial purpose. And even when such a need arises, companies will get there incrementally by a series of sequential changes to a known production organism, with regulatory oversight and risk assessment taking place as each incremental step reaches commercial use. I would be very surprised to see a proposed industrial use of a completely synthetic organism arise out of nowhere. But again, there is no reason to allege that there is something special about synthetic biology, however it is defined, such that regulatory regimes around the world are suddenly inadequate to deal with it. So, I remain optimistic about the prospects for the biofuel and bio-based chemical industries, in spite of the challenges I’ve discussed here. No doubt these and other obstacles will continue to be faced as the companies in the industry move forward, but I’m sure that there will be significant commercial successes in the very near future. I look forward to continuing to work with my colleagues in the industry, to contribute to this success in whatever small ways I can. As always, please note that the views expressed in this blog are my own, and do not represent the views of any of the companies or other institutions for whom I have consulted or are otherwise affiliated. In the interests of full disclosure, I have current or past consulting relationships with several companies in the industry that are or might be affected by the policies I’ve discussed in this post, and I have a financial interest in Joule Unlimited Technologies, one of the companies developing photosynthetic routes for the production of fuels and chemicals. D. Glass Associates, Inc. is a consulting company specializing in government and regulatory affairs support for renewable fuels and industrial biotechnology. David Glass, Ph.D. is a veteran of over thirty years in the biotechnology industry, with expertise in industrial biotechnology regulatory affairs, U.S. and international renewable fuels regulation, patents, technology licensing, and market and technology assessments. More information on D. Glass Associates’ regulatory affairs consulting capabilities, and copies of some of Dr. Glass’s prior presentations on biofuels and biotechnology regulation, are available at www.slideshare.net/djglass99 and at www.dglassassociates.com. The views expressed in this blog are those of Dr. Glass and D. Glass Associates and do not represent the views of any other organization with which Dr. Glass is affiliated. Please visit our other blog, Biofuel Policy Watch. Last month, I gave one of the plenary talks at the The 4th International Conference on Algal Biomass, Biofuels and Bioproducts in Santa Fe, NM. As I reported in the blog last month, my presentation covered regulatory and scientific issues relating to the use of genetically modified algae for the production of fuels and chemicals. My slides from the presentation are available at my SlideShare site, but in today’s post I’ll summarize some of the key points I made during the talk, with links to posts on this blog where some of this information has previously been presented. I began by providing an very brief overview of some of the strategies being contemplated for the use of advanced biotechnology to improve industrially useful algae strains (January 21, 2010 post). I also provided a historical perspective on how the U.S. biotechnology framework emerged in the 1980s, and some of the scientific assumptions on which it was based (April 6, 2010 post). Throughout the presentation, I tried to stress the point that, although the U.S. (and international) regulatory frameworks inevitably single out certain genetically modified organisms for scrutiny beyond that given to strains improved by classical, nonrecombinant methods, any needed regulatory approvals for engineered organisms can easily be obtained with proper planning and management. I next discussed EPA’s biotechnology regulations under the Toxic Substances Control Act (TSCA), which have been frequently discussed here on the blog beginning on April 21, 2010 and most recently earlier this week. Although at times in the past there has been some uncertainty about the jurisdiction for industrial uses of engineered algae (June 9, 2010 post), it is now clear that EPA considers both algae and cyanobacteria to fall within the scope of its regulations. I described these regulations and the requirements they impose both for research and commercial use of those engineered organisms falling within that scope in posts of May 3, 2010 and May 11, 2010, and I discussed the impact of these rules on use of modified algae in a post on September 17, 2013. Commercial uses (or importation into the U.S.) of intergeneric microorganisms for those uses within the scope of TSCA require filing Microbial Commercial Activity Notices (MCANs) with EPA. Although many R&D activities would be exempt from MCAN reporting if carried out in a laboratory or other contained facility, any proposed outdoor testing of an engineered microorganism or algae for a TSCA-regulated purpose would require EPA review and approval through the filing of a TSCA Experimental Release Application (TERA). I spent a bit of time in the talk discussing TERAs, a subject which I’ve also covered in two recent blog entries (posts of November 4, 2013 and December 19, 2013). Although TERAs require submission to EPA of a fair amount of information about the engineered organism, the proposed outdoor experiment, and the means of controlling and monitoring the experiment, the regulations provide for an expedited (60 day) review. But more importantly, the TERA process provides a reasonable mechanism to allow industry and academic researchers to conduct stepwise outdoor testing of modified algae under an appropriate level of regulatory oversight. Specifically, EPA approval of a TERA would allow investigators from either industry or academia to conduct small-scale experimentation with minimal government oversight, but under conditions enabling the gathering of data (e.g. on potential dispersal or environmental survival of the organism) that will be useful to assess the risks of larger-scale outdoor uses. As I described in the December 19, 2013 post, EPA recently reviewed and approved the first TERAs for open-pond use of modified algae, submitted by Sapphire Energy; tests which have already been carried out under these approvals. I also mentioned EPA’s recent experience in reviewing MCANs for algae or cyanobacteria. I have just described these MCANs, from Solazyme (use of microalgae for chemical production) and Joule (use of modified cyanobacteria in photobioreactors for production of ethanol) in a blog post earlier this week (July 7, 2014). Joule recently announced EPA’s favorable review of its MCAN. This was one of my major projects at Joule during my time in the company as director of regulatory affairs. In the talk, I next briefly reviewed the biotechnology regulations of the U.S. Department of Agriculture (USDA). These are the regulations that USDA has used since 1987 to regulate agricultural biotechnology, including field testing and commercialization of transgenic plants. I gave an overview of these rules (in the context of transgenic plants) in a series of blog posts beginning on May 18, 2010. Some within the algae community have, over the years, expressed a desire for USDA, rather than EPA, to have regulatory jurisdiction over engineered algae, but the way the USDA regulations are drawn, and the ways in which the rule defines which organisms are covered, make it unlikely that they would be applicable to most engineered algae proposed for use in fuel or chemical production. In the talk, I raised the possibility that, even if EPA turned out to be the lead agency for algae proposals, USDA’s body of experience in algae research could be utilized by having appropriate USDA scientists or outside experts participate in EPA decision-making and risk assessments. The remainder of my talk covered the scientific issues underlying the risk assessments that are needed to support regulatory decision-making for industrial uses of modified algae. I have discussed some of these issues in a recent blog post (November 1, 2013). Among the points I tried to make in this portion of the talk is that, in spite of the enhanced level of regulatory scrutiny afforded genetically altered microorganisms and algae, there are legitimate scientific questions that should be addressed in any risk assessment of a proposed large-scale use of modified organisms. These are questions relating to environmental dispersal and persistence of the organism, the potential for toxic or other adverse effects, and the potential for unwanted transfer of foreign genes to native microorganisms at the site of use. And I speculated on ways in which industry, academic and government researchers can work together to develop a research database to support regulatory risk assessments, and other ways in which the government might help, such as making government research laboratories or field sites available for confined outdoor experimentation. This has necessarily been a very brief summary of the talk – more details are of course available in the slide deck itself. I also hope to publish a more detailed description and analysis of EPA’s TERA program, either for this blog or elsewhere, since I feel strongly that this process is one that many groups of researchers, including academic and government scientists, should use to begin to accumulate real-world data to establish whether or not large-scale open-pond uses of modified algae pose any significant, realistic environmental risks. Joule Unlimited’s successful first MCAN is among several that have recently been listed as favorably reviewed on the EPA website. As described in several previous entries in this blog from 2010 (beginning here), the U.S. Environmental Protection Agency (EPA) regulations under the Toxic Substances Control Act (TSCA) require the filing of Microbial Commercial Activity Notices (MCANs) before the commercial use of certain genetically modified microorganisms in biofuel or bio-based chemical production. In one of these posts, I briefly listed and summarized several MCANs that had been filed up to the time of that initial post, covering novel microorganisms intended for use in fuel production, as well as those covering microbes engineered to produce novel enzymes. From time to time, I’ve posted descriptions of additional biofuel or biobased chemical related MCANs that had been filed more recently (see posts of January 10, 2013 and August 28, 2013), and in today’s entry I’ll describe a number of new MCANs filed in 2012 and 2013 that have only recently been added to the list on EPA’s website. To summarize my prior blog entries, the TSCA Biotech Rule covers certain modified microorganisms, specifically those containing deliberate combinations of coding nucleic acids derived from more than one taxonomic genus, but only when those organisms are used for commercial purposes not regulated by other federal agencies. The uses of microorganisms or algae to produce ethanol, butanol, biodiesel, other biofuels, or bio-based chemicals are industrial applications that fall under TSCA jurisdiction. Most R&D uses of such organisms would be exempt from MCAN reporting, and there are also commercial exemptions available for certain host organisms such as E. coli or S. cerevisiae, as described in my previous posts. In late May 2014, EPA updated its website listings of MCAN submissions to add a fairly large number of submissions that had originally been filed over the past two years. These are as follows. Solazyme, Inc., MCAN J12-0003, received 03/23/12, modified microalgae, strain confidential, for chemical production. Joule Unlimited Technologies, MCAN J12-0006, received 07/11/12, modified Synechococcus for ethanol production. Regulated with a 5(e) Consent Order, 07/23/13 (see below). Company confidential, MCAN J13-0009, received 05/15/13, Modified microorganism for enzyme production. 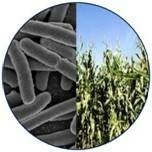 Danisco US, Inc. MCAN J13-0010, received 06/21/13, Saccharomyces cerevisiae, strain confidential, for ethanol production. Solazyme, Inc., MCAN J13-0030, received 08/16/13, modified microalgae, strain confidential, for chemical production. Danisco US, Inc. MCAN J13-0050, received 06/21/13, Trichoderma reesei, strain confidential, to produce alpha-amylase. Lessafre Yeast, MCAN J14-0001, received 11/27/13, Saccharomyces cerevisiae modified, for ethanol production. DSM Nutritional Products, Inc., MCANs J14-0003 to -0006, received 12/02/13, Saccharomyces cerevisiae modified, for ethanol production. Note that MCANs are reviewed by EPA, but no formal “approval” is needed. If the Agency does not identify any unusual risks or any reason to extend its review during the 90 day review period, the MCAN is deemed to be cleared (or “dropped from review”) and the applicant can proceed to commercialization. Except for the Joule MCAN, which was handled differently as I’ll describe below, all of the MCANs listed above were favorably reviewed by EPA and thus “dropped from review”. I won’t comment in detail about these MCANs but will make a few observations. As has been the case in recent years, most of these have been for new yeast strains for ethanol production, other modified microorganisms for production of unspecified chemicals, or production strains for industrial enzymes. However, this batch of MCANs is notable for two reasons. First are the two MCANs from Solazyme, which are the first received and favorably reviewed by EPA under its TSCA regulatory program for the industrial use of modified eukaryotic algae. Although the identify of the microalgae species has been claimed as confidential in these MCANs, presumably one or both are for modified versions of the same algae species, Prototheca moriformis, that has been identified in online documents describing Solazyme’s approval for commercial use in Brazil (see my February 20, 2014 post for more detail). Unlike many industrial uses of microalgae, Solazyme grows its algae strains in traditional fermentations, with the organisms growing heterotrophically, i.e. deriving their energy from chemical nutrients rather than via photosynthesis. Second is the MCAN from Joule, which is the first for a modified cyanobacterium (i.e. a prokaryotic blue-green algae) under this program (although Algenol’s CEO has stated in public presentations that his company has recently filed its first MCAN for a modified cyanobacteria strain, also for ethanol production). Joule’s MCAN is unique among all previously-filed MCANs in that the organisms would be grown outdoors, in durable, contained transparent photobioreactors arrayed horizontally to gather sunlight, rather than in a traditional stainless-steel ferementer. I coordinated the preparation of Joule’s MCAN during my time as director of regulatory affairs for the company, and also handled all interactions with EPA during its review of the filing. In its evaluation of Joule’s MCAN, EPA concluded that the use of the MCAN strain at Joule’s Hobbs, New Mexico facility would not pose unreasonable risks. However, because of the innovative nature of Joule’s photobioreactors, EPA was not prepared to simpy drop the MCAN from review, thereby granting the company unlimited rights to use the MCAN strain under any conditions. Instead, EPA and Joule entered into a voluntary consent order, which allows Joule to use the strain commercially at the Hobbs facility, while also providing EPA with further data resulting from such use. Joule has recently announced the favorable outcome of EPA’s review of this MCAN, and I have discussed Joule’s experience as a case study in my December 2013 talk at the BIO Pacific Rim Conference. EPA’s addition to its website of these 9 submissions is evidence of the increasing pace and frequency of MCAN filings (as shown in the Figure, with the 2014 entry accounting for perhaps half of the federal fiscal year). I’ve commented on this in past blog entries, and it is indicative of the growing interest in biofuels and bio-based chemicals, and in particular the growing acceptance within the industry that the use of genetically modified microorganisms (and algae) are possible, and in fact may be needed, to enable the economical manufacture of fuels and chemicals at large commercial scale. D. Glass Associates, Inc. is a consulting company specializing in government and regulatory support for renewable fuels and industrial biotechnology. David Glass, Ph.D. is a veteran of over thirty years in the biotechnology industry, with expertise in industrial biotechnology regulatory affairs, U.S. and international renewable fuels regulation, patents, technology licensing, and market and technology assessments. More information on D. Glass Associates’ regulatory affairs consulting capabilities, and copies of some of Dr. Glass’s prior presentations on biofuels and biotechnology regulation, are available at www.slideshare.net/djglass99 and at www.dglassassociates.com. The views expressed in this blog are those of Dr. Glass and D. Glass Associates and do not represent the views of Joule Unlimited Technologies, Inc. or any other organization with which Dr. Glass is affiliated.